Luke Dineen has been a regular contributor to the Mother Jones summer school and we are delighted to welcome him back in 2016. He will address the significance of the Postal Strike of 1922 at the Maldron Hotel on Saturday 30th July at 11.30. ”The Postal Strike of 1922 was the first major industrial dispute the new government of the Irish Free State faced and it occurred right in the middle of the Civil War. When the dispute began, the government refused to concede the right of public servants to strike. The postal workers were condemned for taking industrial action against wage reductions because, as members of the public service, they enjoyed permanent, pensionable positions. (Extract from Cathal Brennan in online article in The Irish Story). The Cork postal workers had earlier voted to strike in February 1922 due to threatened pay cuts, but action was postponed as a result of union intervention whereby an independent commission was established to examine the issues in relation to pay. The Postmaster General during the strike was James Joseph Walsh, known as J.J., a TD from Cork. Born near Bandon, Walsh was a former postal worker himself, an active trade unionist and member of Sinn Féin. He had taken part in the 1916 Rising in the GPO and received a ten year sentence.Described by Marcus De Burca author of The GAA…a History as “a dominating Cork personality”, he had also been Chairman (President) of the Cork County Board of the Gaelic Athletic Association (GAA). 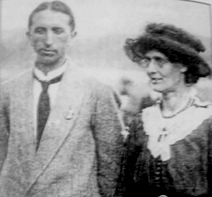 His Departmental Secretary in 1922 was P. S. O’Hegarty, another Corkman and a former post office worker in London who was friendly with Michael Collins. The events during this strike in September 1922 and the government’s brutal reaction form a surprising if largely forgotten portrait of the new Irish State at the time and raise a fundamental question….…was the labour movement the biggest casualty of the Irish Civil War and its aftermath? Luke Dineen will tell the story of the events surrounding this strike on Saturday morning 30th July at 11.30 am. 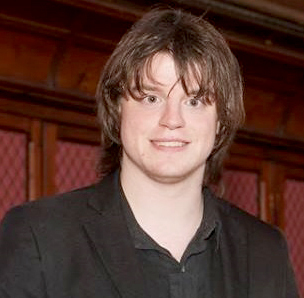 Luke is currently writing his PhD Thesis at University College Cork. Jimmy Crowley returns to The Spirit of Mother Jones Festival.